Prepare yourself — because September 19 is Get Ready Day. Established in 2006 by the American Public Health Association (APHA), the goal of Get Ready Day is to arm individuals, families, and communities with knowledge that will help them cope with crises, such as natural disasters, infectious diseases and pandemic illnesses. So on this third Tuesday in September, attend a Get Ready Day event in your area, and get yourself—and your loved ones — ready to survive any emergency situation that may come your way. ​As a means to arm the public with the resources to best handle dangerous situations, APHA launched the Get Ready campaign. ​The headquarters for APHA was built in Washington, D.C.
President Bill Clinton declared the first week of April National Public Health Week. ​Due to intense support from the American Public Health Association, the United Nations established the World Health Organization. ​America created a national health service. ​Dr. Stephen Smith — commissioner of New York City’s Metropolitan Health Board — created the American Public Health Association. You can coordinate an after-school fair. This helps get people of all ages involved. Want to spread the message to the senior citizens in your community? Schedule a preparedness talk at your local senior center. Get Ready Day is a great reminder to stock up on the supplies that will best prepare you to cope with a crisis. 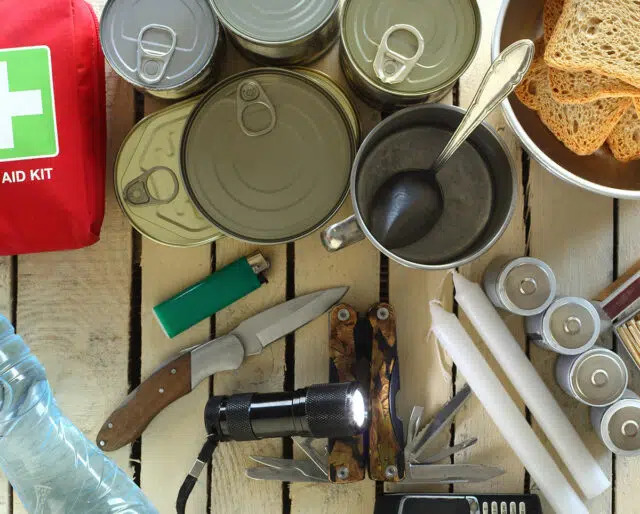 So invite friends and family over and shop online for the items that will best prepare you for a disaster: Canned foods, food items with a long shelf life, batteries, flashlights, and face masks are just a few ideas. You can help APHA get their survival tips and tricks out to your community by setting up a table at your local supermarket and handing out preparedness fliers. Another great way to spread their message is to post materials at local churches and coffee shops. APHA played a large role in fighting the tuberculosis outbreak that occurred from 1895-1954. ​Walter Reed, a U.S. Army physician, announces that mosquitoes carry yellow fever at the 1990 APHA Annual Meeting. ​Jonas Salk, a member of APHA, creates the Salk vaccine as a way to treat polio. ​APHA testified at the first congressional hearing held to discuss the AIDS epidemic. ​The Supreme Court cites APHA in their decision to vote against most anti-abortion laws. Get Ready Day’s preparedness information is educational and beneficial, so Americans can learn the best strategies to prepare for — and cope with — disastrous situations. With online toolkits, social media resources and local events, Get Ready Day’s information is easy to access, so make sure you take advantage, read up, and follow through with their many preparedness and survival tips. Dangerous, unexpected situations are nerve-wrecking, stressful and unsettling, but thanks to Get Ready Day, we can stay a little calmer. Because of all the helpful information that circulates on Get Ready Day, we can relax a little bit knowing we have the supplies and knowledge to better handle emergency situations. Get Ready Day is all about making sure we know how to best respond to an emergency situation — no matter what it may be. Not only does this day help us feel equipped to deal with unsafe circumstances, but it also confirms that APHA has our best interest at heart.